Little Mix is one of the last English-speaking girl groups left standing. With Fifth Harmony recently split and extremely little competition in this regard, it stood to question whether or not they still had a place left in the industry. 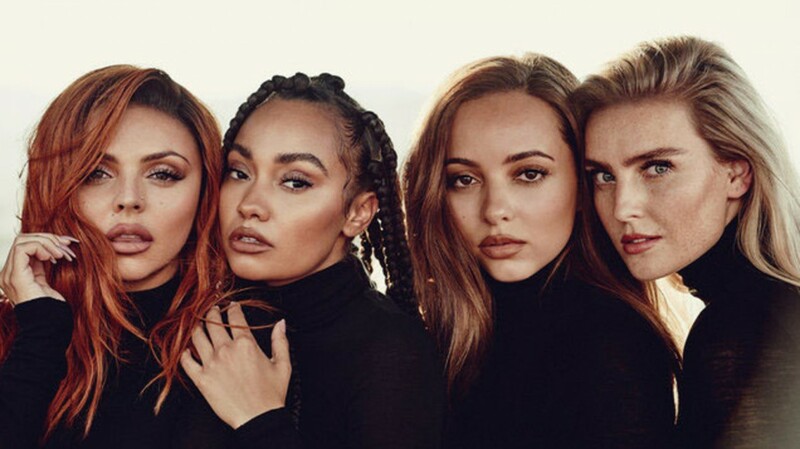 With “LM5,” the British sensations proved that they are not going anywhere. Little Mix was formed during the eight season of “The X Factor” in the United Kingdom. They were the first group to ever win the competition, and signed shortly after with Simon Cowell’s label Syco Music. Their win on “The X Factor,” combined with the massive promotional resources of Simon Cowell, launched them to near instant fame in the United Kingdom, where they have scored four number one hits and 13 top 10’s throughout their seven-year career. Despite this massive success in the United Kingdom, as well as opportunities opening for Demi Lovato and Ariana Grande’s United States tours in 2014 and 2017 respectively, Little Mix never really got their chance to shine in the states. With their music only getting more experimental, this is unlikely to change going forward. Little Mix’s best-known songs are mostly extremely anthemic and catchy pop glitter. They are vaguely empowering, often without much to say. However, this tune changes significantly on “LM5.” Beyond merely escaping their pure pop sound to enter into a more experimental side that blends their pop side with rap, R&B, acoustics and piano backdrops, they also dig much harder into their vaguely feminist themes that appeared throughout their earlier music. Perhaps the most prominent examples of this shift appear on the set’s two singles so far, “Woman Like Me” featuring Nicki Minaj and “Strip” featuring Sharaya J. The former was released as the lead from the album, which features a more tropical, laid-back, trap-like beat as opposed to their prior bombastic leads. It is stylistically similar to “Side to Side” by Ariana Grande, another song featuring Minaj. “Woman Like Me” features Little Mix portraying themselves as untraditional women and hoping they will be accepted for it, which, while perhaps a somewhat vague statement, is the closest they had come to making a statement in their career up to that point. The follow-up single “Strip,” released alongside the album drop, is much more experimental. The song itself is blatantly about body acceptance and blocking out criticism for body size. On first listen, the song was almost off-putting for its experimental delivery and production. The intro was entirely acapella, and then transitioned into a verse with a very subdued beat, then going into a more tap-driven song accompanying a pop-rap lyrical delivery. While it was off putting the first listen for this style, it quickly proved itself as a highlight for these same reasons. The driving force of this album is the clear vocal talents of the four girls. They effortlessly weave between pop-rap, R&B, acoustic songs, ballads and even the entirely acapella stripped version of “The Cure” without missing a beat. Their voices mesh extremely well together and have a knack for harmonizing their voices to incredible power. It is unlike any other recent girl group album in this regard. At a time where Little Mix could have very easily decided to deliver a safe, trendy album to massive success, they decided to subvert expectations and deliver a weird, experimental, empowering album that is bound to garner much more acclaim. Not every moment works perfectly, with the occasional miss due to the clashing styles present on the album, but it is impossible to say that it is a forgettable listen. Every song just grabs the listener in some unique way, whether it is the ridiculous chorus of “Wasabi,” the wacky hooks of “Joan of Arc,” the insightfulness of “Woman’s World,” the climax of power ballad “The Cure” or the group harmonies present across the album. There is something here for just about anyone, and it is worth a listen if not just for the experience.